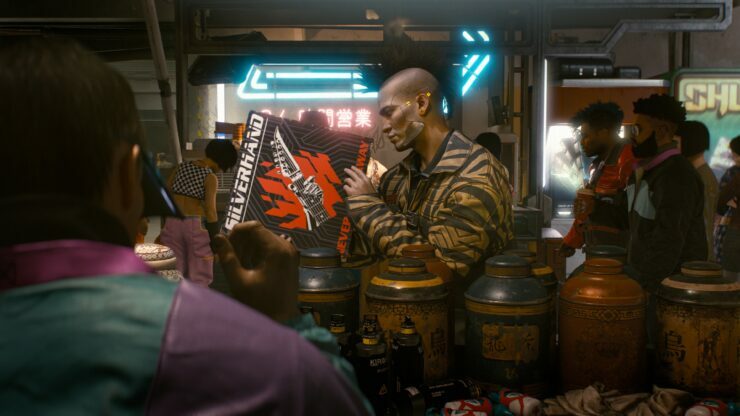 The Cyberpunk 2077 demo that CD Projekt Red showed off at this year’s E3 event was running on an Intel i7-8700K CPU and an NVIDIA GeForce GTX 1080Ti GPU. That’s what CD Projekt Red’s community manager Alicja Kozera confirmed on the game’s official Discord server. As reported earlier, the Polish developer showed off a 50-minute long demo to the press. That footage hasn’t been made available to the public yet, but the in-engine trailer showcased during Microsoft’s E3 2018 Xbox briefing is more than enough to make gamers all over the world salivate in anticipation. Surely, the game looks impressive and thanks to ‘Alicja’, we now know something about the specs required to run the game. The graphics settings weren’t revealed, though we do know the game was running at native 4K resolution and 30 frames per second. The complete PC specifications of the setup that ran the Cyberpunk 2077 demo at E3 2018 have been included below, as supplied by Alicja. The question now is whether CD Projekt RED can optimize the game to the point where it can run on original Xbox One and PlayStation 4 hardware. We’ll keep you updated as soon as we learn more about this insanely ambitious first-person view action RPG.